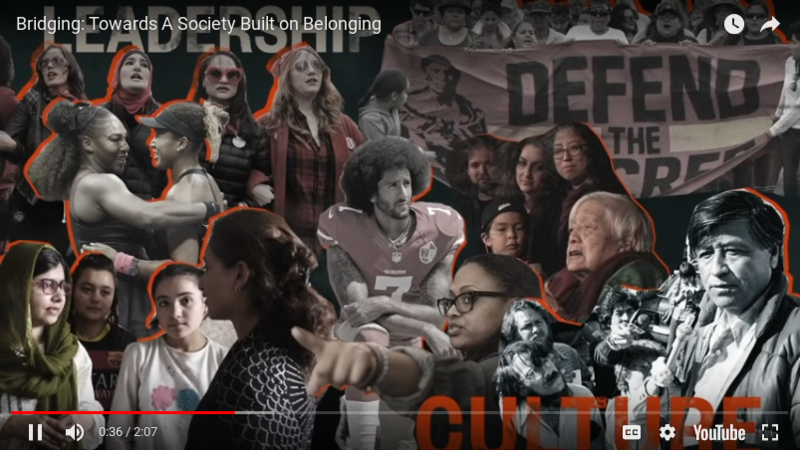 The Haas Institute and its partner organizations have produced videos, curricula, and trainings that explain and demonstrate the key concepts of the analysis around othering and belonging, bridging and breaking, strategic narrative, and related topics. Some of the tools and resources are available on this page. 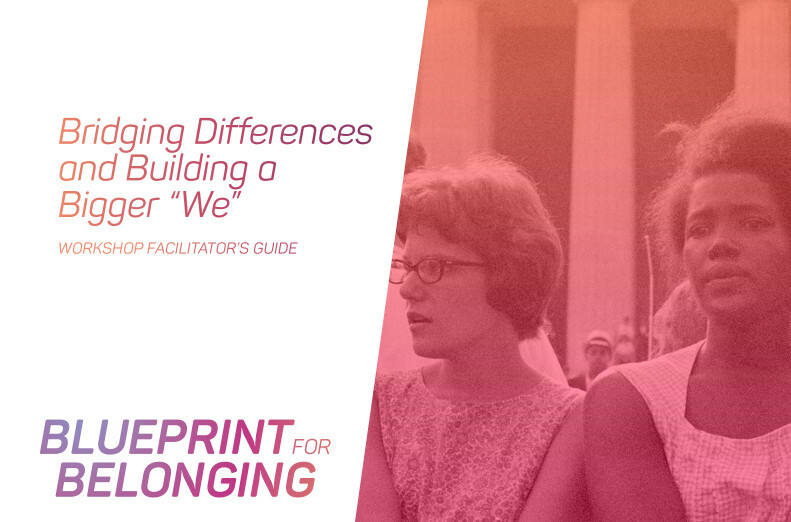 The sister project of the Civic Engagement Narrative Change project is the Blueprint for Belonging project, also anchored by a Haas Institute team. The team has collaborated with on-the-ground partners across California to develop curricula for training and political education designed to promote a progressive strategic narrative and bridging towards a shared identity. Click here to explore the B4B curricula. 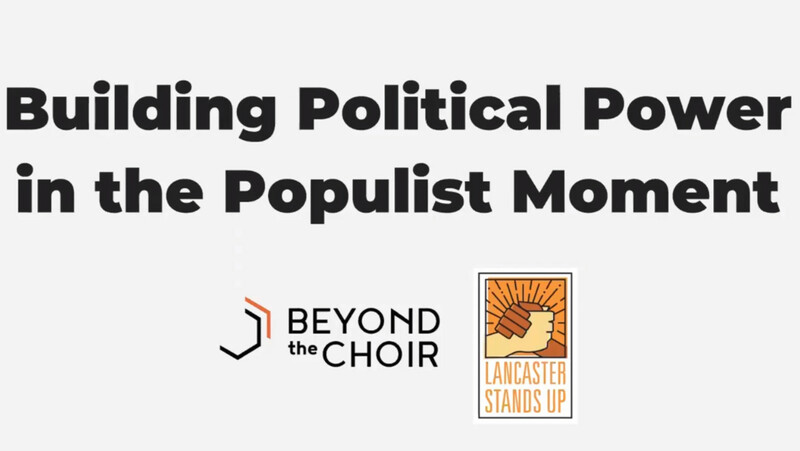 In this webinar, the staff of the Pennsylvania-based organization Beyond the Choir led an exploration of the "populist moment." What does it mean? How did we get here? And how do we navigate this landscape? The webinar examines how failures of the current social, economic, and political system have set the stage for the ascent of Trump. It breaks down an anatomy of Trump's reactionary populism: how it functions through a combination of "punching up" at social elitism and punching down at racialized scapegoats. Most importantly, it examines how an inclusionary populism that centers both race and class can succeed in this moment. It lands the theoretical concepts in their practical application in current on-the-ground organizing efforts, digging into how to go about reaching alienated voters, mobilizing new volunteers, and building the kind of long-term political power needed to win. It uses BTC's work in Pennsylvania as a case study. 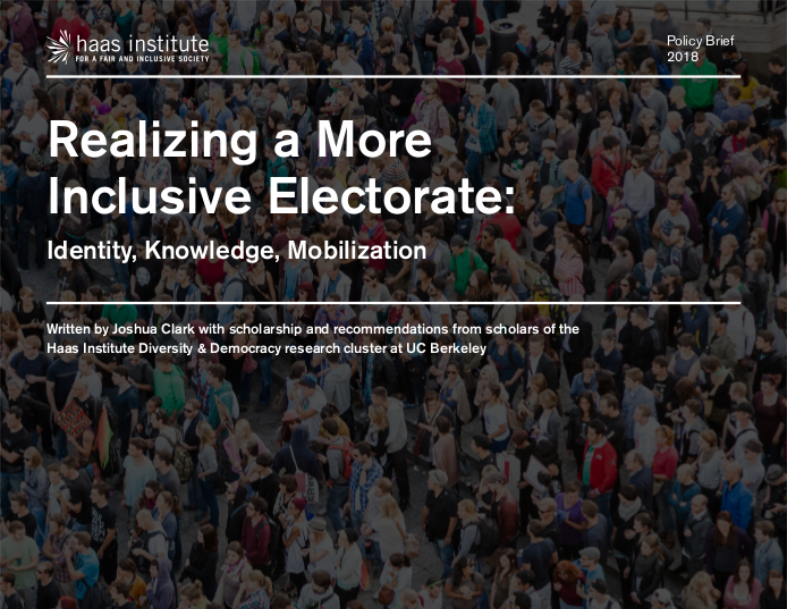 Civic Engagement Narrative Change researcher Joshua Clark authored this policy brief, which synthesizes lessons from recent research on how to confront voter disaffection, support inclusive identities, and increase democratic participation among underrepresented groups. The brief argues that many conventions of polling, categorizing, and engaging voters in campaign outreach reinforce chronic disparities in US election turnout. The brief concludes with a series of evidence-based recommendations for researchers, pollsters, political donors, and public officials on how to make their work supportive of broader and more inclusive civic participation.